From an award-winning writer whose work bristles with “hard-won strength, insight, agility, and love” (Maggie Nelson), an exquisite and troubling narrative of masculinity, violence, and society. In this groundbreaking new book, the author, a trans man, trains to fight in a charity match at Madison Square Garden while struggling to untangle the vexed relationship between masculinity and violence. Through his experience boxing—learning to get hit, and to hit back; wrestling with the camaraderie of the gym; confronting the betrayals and strength of his own body—McBee examines the weight of male violence, the pervasiveness of gender stereotypes, and the limitations of conventional masculinity. A wide-ranging exploration of gender in our society, Amateur is ultimately a story of hope, as McBee traces a new way forward, a new kind of masculinity, inside the ring and outside of it. "In an age when identity feels so splintered and fractional, McBee’s empathy with men feels refreshing, but it’s his determination to be accountable that is radical. He resolves his own masculinity crisis by doing the things men often think they’re doing, but so often are not: listening, asking questions, seeking help, being vulnerable." "This book relays a subtle, profound personal investigation into masculinity and personhood ... McBee’s great twist is to treat masculinity itself as an anthropological phenomenon, represented by this bloody, extreme sport. Inside the fight, McBee finds reconciliation." "A no-holds-barred examination of masculinity. McBee describes the journey as a way of grappling with his newish place in the world of toxic (and privileged) masculinity ... a compassionate look at what it means to be a man and the circumstances that have engendered our expectations. It is in many ways a happy dismantling of these expectations, an opening of masculinity to make room for love, support, and tenderness — something McBee is pleasantly surprised to find along the way." 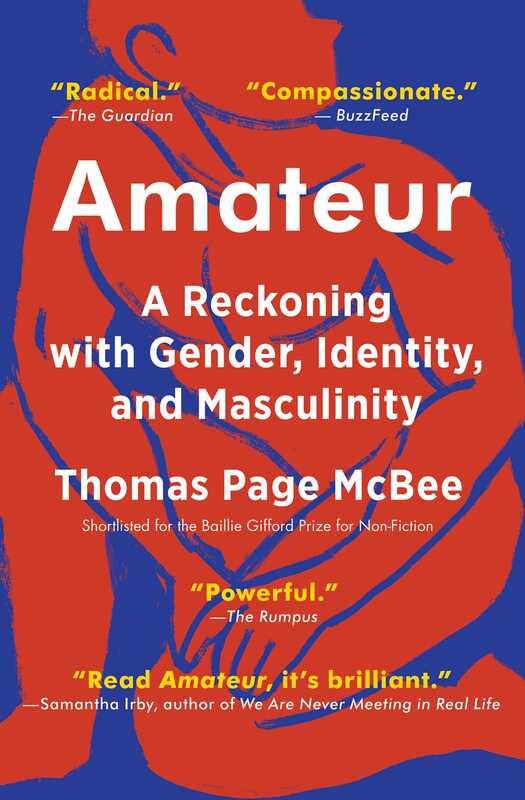 "Thomas Page McBee’s new memoir, Amateur, is a powerful exploration of the costs of toxic masculinity and the joys of an authentic life. It is also a classic fight story. Superbly written and keenly observed, Amateur manages to juggle all of these elements with grace and wit." "McBee is consistently vulnerable—both physically and in how he shares his experience. Yet at the end of Amateur, after all the punches, interviews, and introspection, the author does not arrive at any simple answers. Instead, that initial question about men and fighting multiplies into larger ones ... While he gets closer and closer to that eventual fight night in New York, his investigation of men is made more powerful by this lack of certainty—ultimately asking whether anyone, including those who flaunt their political strength in Washington D.C., truly comprehends the meaning of masculinity." "It is no coincidence that the terms "masculinity crisis" and "toxic masculinity" have become current at a time when leaders such as presidents Putin and Trump strut the world stage like parodies of the archetypal alpha male. Who better to explore this crisis than someone who has had to interrogate, with every cell of their body, what it means to become a man? ... With exhilarating clarity and tenderness, Amateur exposes patriarchy for the construct that it is." 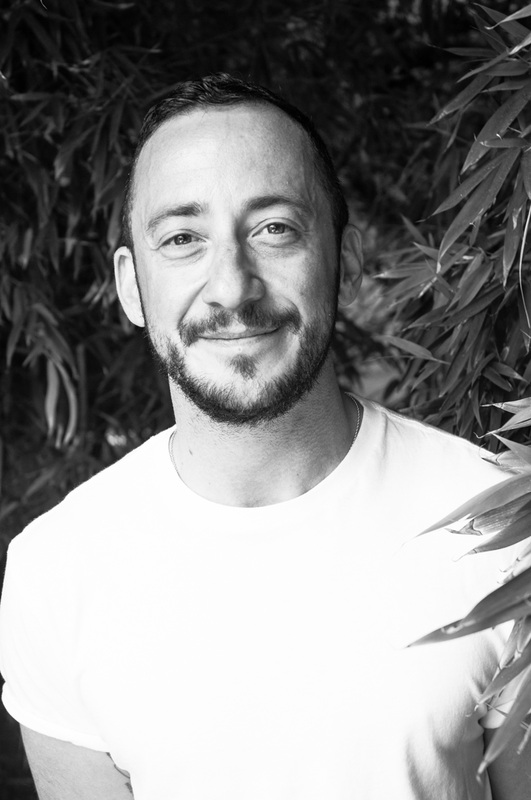 "[McBee's] writing asks questions about gender that he believes are relevant to all people, trans or not ... [Amateur] probes the culture (or cult) of masculinity through, among other things, his experience as the first trans man to enter the boxing ring at Madison Square Garden, where he competed in a 2015 charity event when he was 34." "Elegantly demonstrate[s] how men can fight for a better definition of manhood—one that includes vulnerability, empathy, and self-expression—simply by fighting to be themselves ... [McBee] finds the answer not in knocking out another man’s mouthguard, but rather in moments of vulnerability and the nurturing gestures of other men." "The hot center of this book, the new work that it does, is McBee’s search to identify and adopt ways to be a “better” man. He wants to know, as a man, how to fight gender inequity ... At a time when equity of all kinds is being suppressed, Amateur is a reminder that the individual can still come forward and fight." "Amateur is Thomas Page McBee’s poetic exploration of (sometimes toxic) masculinity as he trained to become the first trans man to box in Madison Square Garden. Author of the award-winning memoir Man Alive, McBee expected men drawn to boxing were motivated by bloodlust. Instead, he discovers mentorship among men overcoming weaknesses. In finding the vulnerability guys hope to hide, McBee finds hope for all men." "Thomas Page McBee is a trans man who opts to train as a boxer in order to fight in a charity match. The training sends him into uncomfortable territory as he works to unpack whether violence is a necessary component of the maleness to which he has transitioned. He provides readers with a fascinating, poignant account of his desire to push at the constructions of what it means to be a man in order to better understand himself." "This is an extraordinary, humane and compassionate book about aggression, selfhood and love. Nothing short of superb." "When men fight, they are fighting the parts of themselves they hate, as McBee, himself a victim of abuse, discovers ... [the account] is interspersed with insights from a wide range of commentators and experts on issues relating to masculinity, race, gender and violence. It all adds up to a gripping and fascinating journey." "[One of] the hottest memoirs to pre-order for fall ... In this memoir from Scribner, [McBee] grapples with masculinity, gender, and violence as he recounts his training to become a boxer." "Reading Amateur is watching someone try to simultaneously figure out who they are, who the world wants them to be, and why. It’s deeply personal and politically vital, a calm and contemplative antidote to male toxicity." "Thomas Page McBee's Amateur takes a classic, well-worn subject—a man whose fight with other men is ultimately a confrontation with the self—and completely revitalizes, renews, and enriches it. McBee grapples with enormous issues such as masculinity, identity, transformation, and loss with great depth and intelligence, and in doing so, explores so many of the tough questions we should all be asking ourselves. Though slim and sharply concise, Amateur enlarges the world by opening up greater, more hopeful realms of possibility. I am a better man for having read this book." "With Thomas as your gloved guide, you'll peer into locker rooms, through ropes, and at douchebags challenging strangers to sidewalk beat downs. Watch Thomas spar with masculinity as he takes on his, yours, and America’s manhood. While tracing his journey from uninitiated fighter to Madison Square boxer, McBee explores why men so frequently confuse violence with power and why being a man ought to rely on a willingness to spar, first and foremost, with one’s own shadow." "A blazingly wise and beautiful book." "Amateur provocatively describes the ways in which an increasingly fragile patriarchal culture needs to keep men in their place. A quest for self-liberation, this loving and deeply intelligent exploration of contemporary masculinities is essential reading."